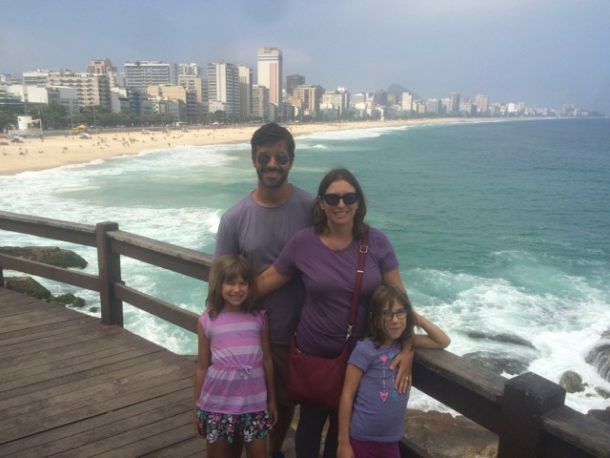 Thailand with Kids: Bangkok - Food, shopping, culture, and fun! 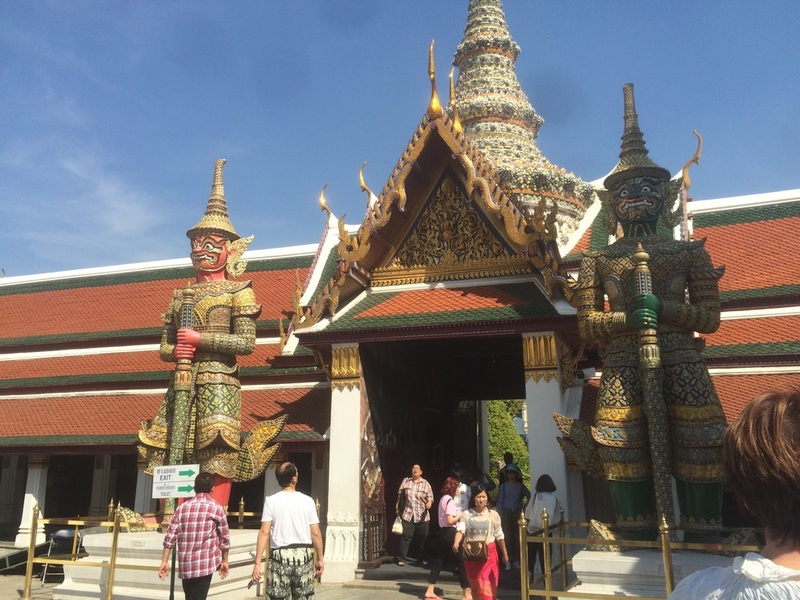 Thailand with Kids: Bangkok – Food, shopping, culture, and fun! After Chiang Mai, we returned to Bangkok for a couple of days. I took the girls out ice skating, while Anthony recovered from a 24 hour stomach flu. It was a fascinating walk to the CentralWorld, past lots of street vendors and the fashion mall. Amy enjoyed ice skating, but I was disappointed with the rink. It was small and covered in water because the cleaning machine was broken. 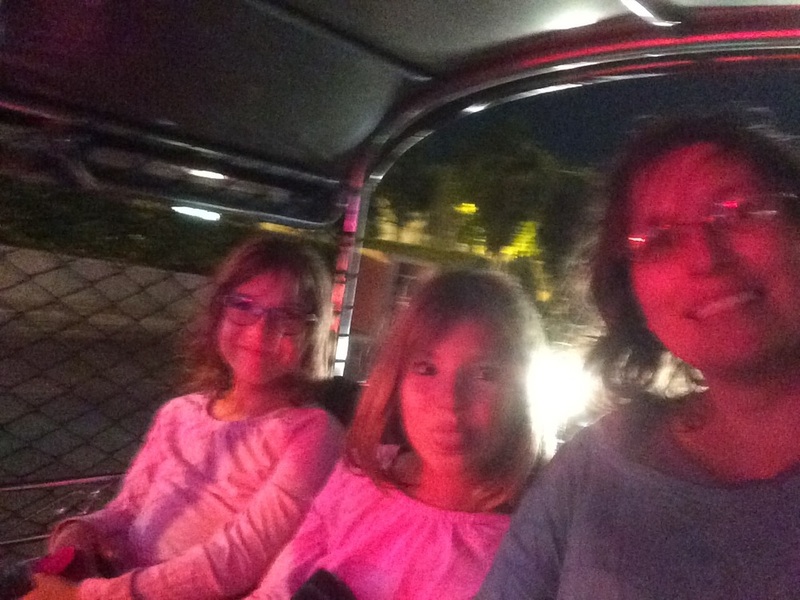 The girls and I had a fun tuk-tuk ride back to the hotel that night. Bangkok was so beautiful lit up with Christmas lights. 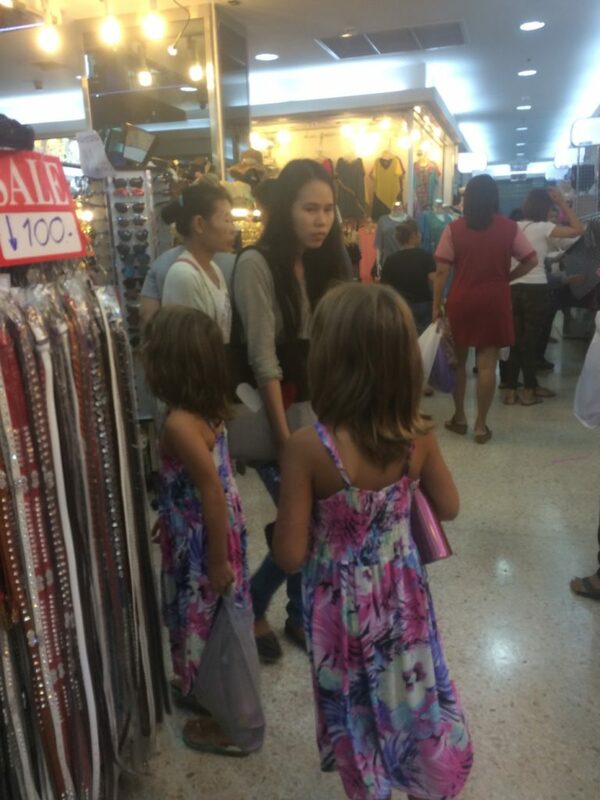 The next day, Anthony was feeling somewhat better, so he ventured out with us to the Pratunam Fashion Mall. This is a crazy place of over 2,000 stalls spread over 6 floors, most dedicated to women’s clothing. 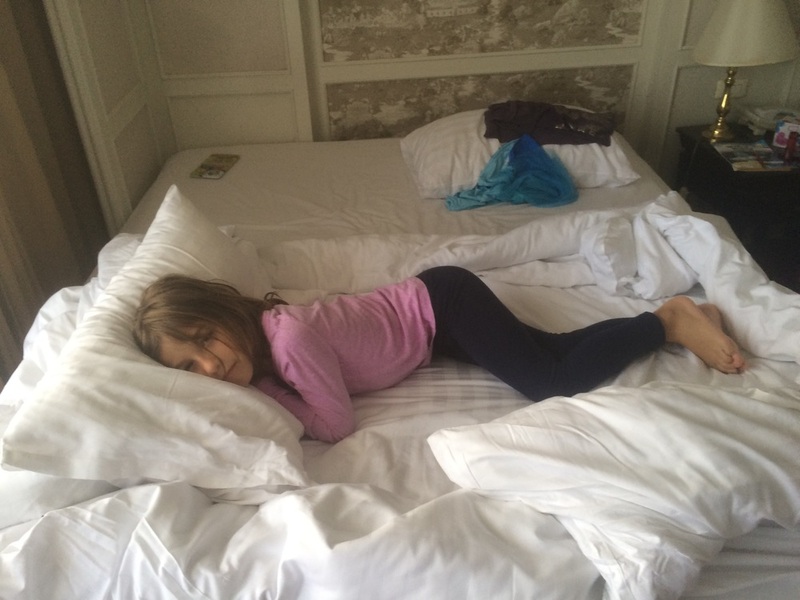 The girls each got a new pair of dress shoes, and Amy got a couple new nightgowns. The girls at the Fashion Mall. Thai omelettes on rice. 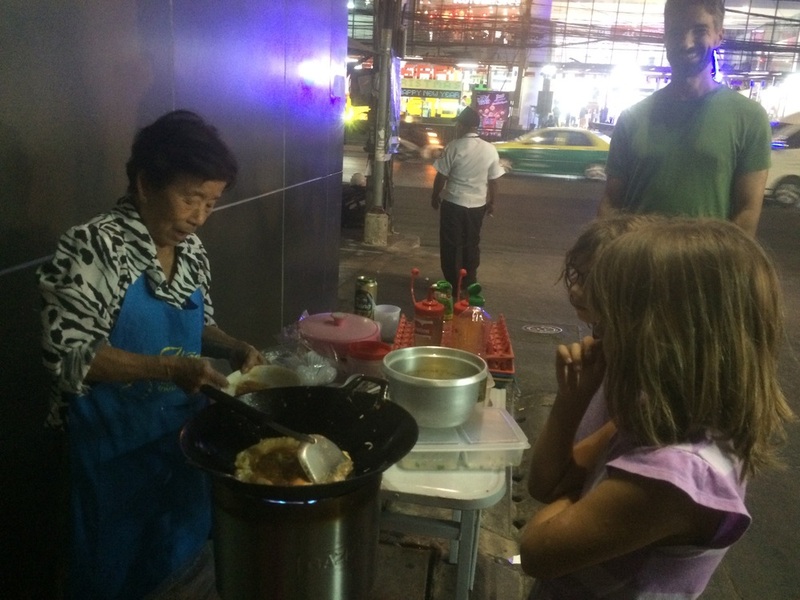 One of the many foods you can buy on the street in Bangkok. On January 4th, we ventured out a bit further to The Grand Palace. 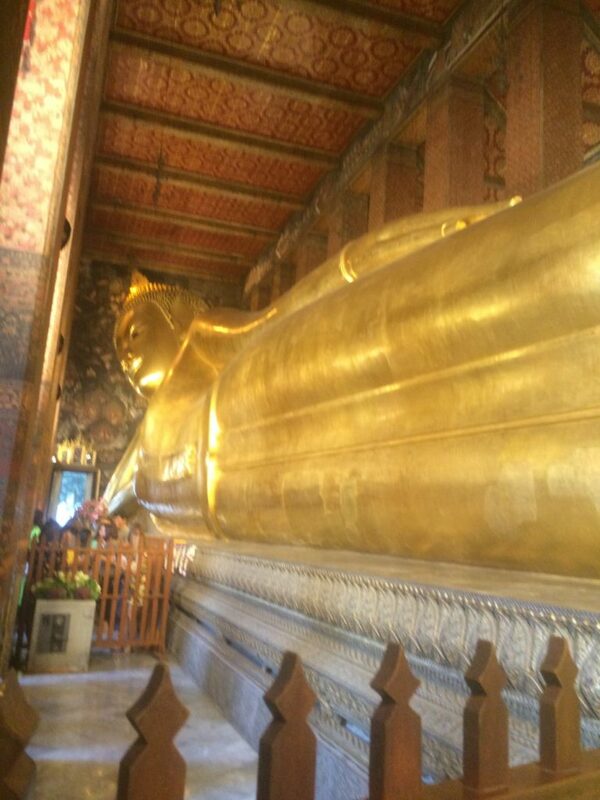 By the time we got there, it was close to closing, so we went to Wat Pho to see the reclining Buddha instead. Although it is quite impressive, Hannah was more interested in the cats and kittens that lived there. On January 5th, we once again headed out to The Grand Palace. We found out that The Emerald Buddha was closing at 2pm that day. With half an hour to spare, we managed to see it. The hot Bangkok sun was making Amy unbearable as she just wanted to go ice skating again. We managed to see some of the murals and the outside of The Palace before leaving. Part of The Grand Palace Complex. 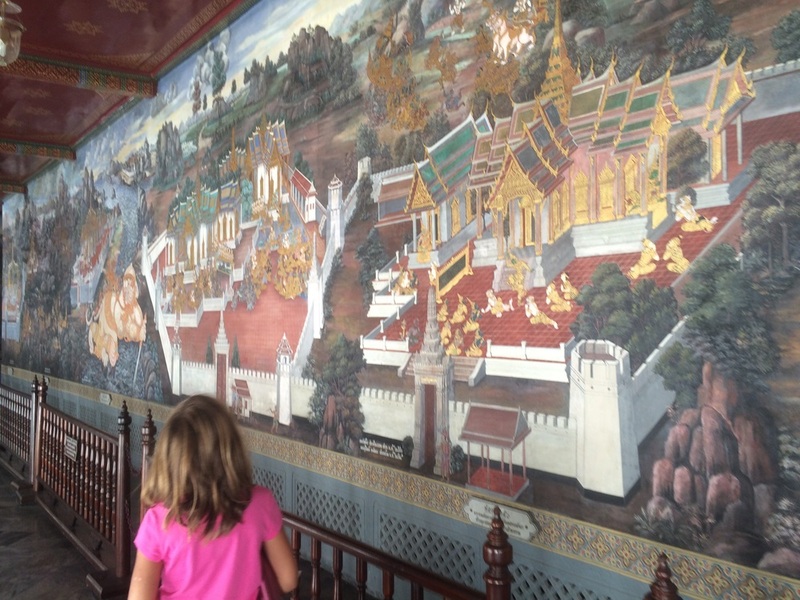 Checking out the murals in The Grand Palace Complex. For some reason, outside the Palace, Thai men tell unsuspecting tourists that the Palace is closed. The Palace has announcements over loud speakers saying it’s not true. I was adamant that we go to a different rink, unfortunately, the one Anthony chose turned out to be closed. 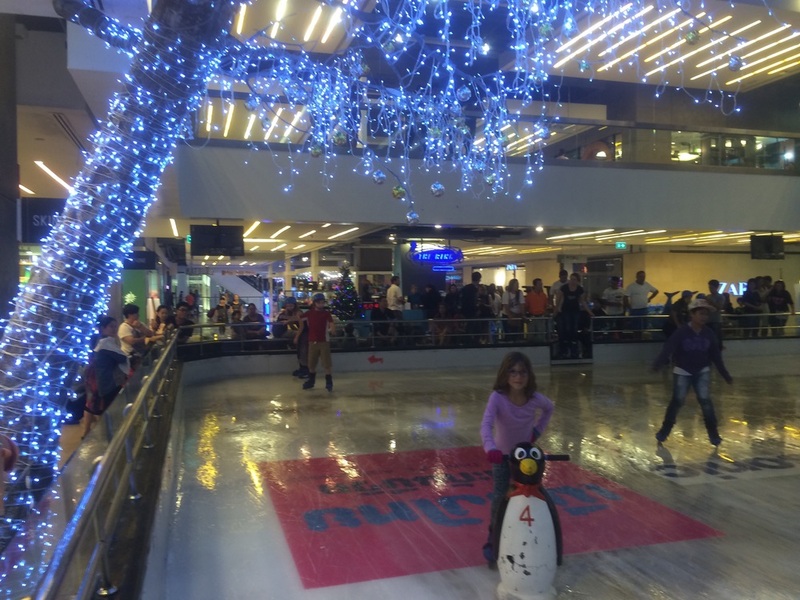 We were at the Siam Paragon though, and it had lots of other things to do, so Amy wasn’t too disappointed. We settled on KidZania. By the time we actually found it, it was to close to closing time, so we couldn’t go in. The Discovery Center also had a SeaLife Aquarium, Bowling Alley, IMAX and a Cineplex. Unfortunately, by that point Amy was having another meltdown and I had had enough. We headed back to the hotel. The girls had their TV shows, dinner and bath, while Anthony explored Bangkok just a bit more before our early morning flight. Amy taking a rest after a long day out in Bangkok. 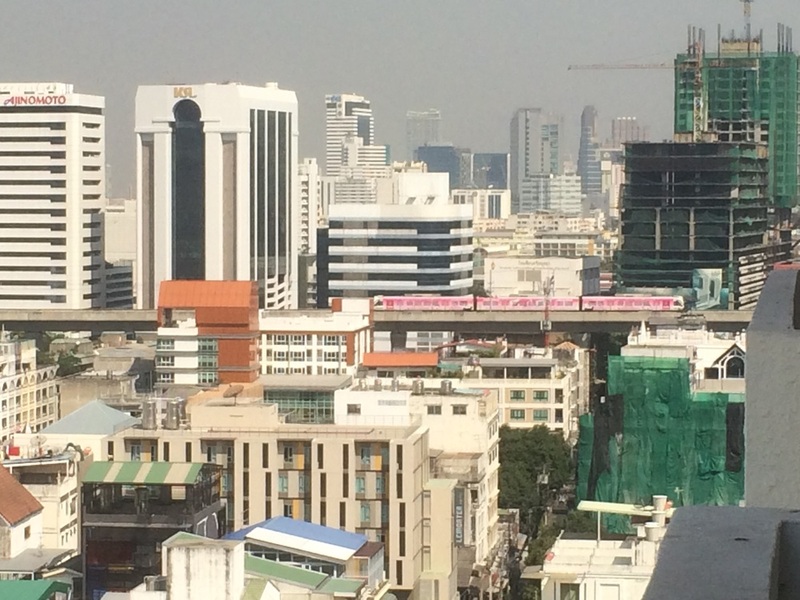 View of Bangkok from our hotel room. You can see the pink sky train, which we didn’t take. Even though we were in Thailand for 2 1/2 weeks, I still don’t have a strong sense of the country. It was our first time in a Buddhist country and Hannah found the spirit houses fascinating. 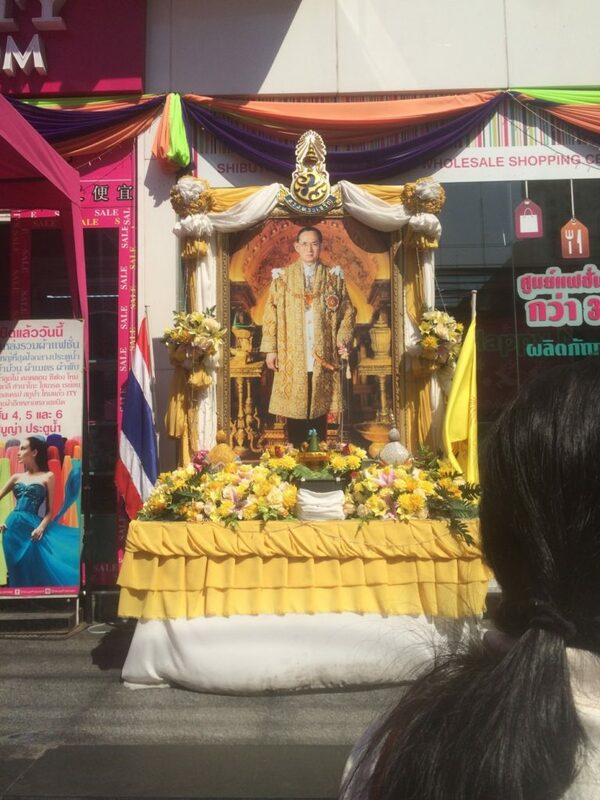 The monarchy also has a very strong presence here, with the picture of the King everywhere. 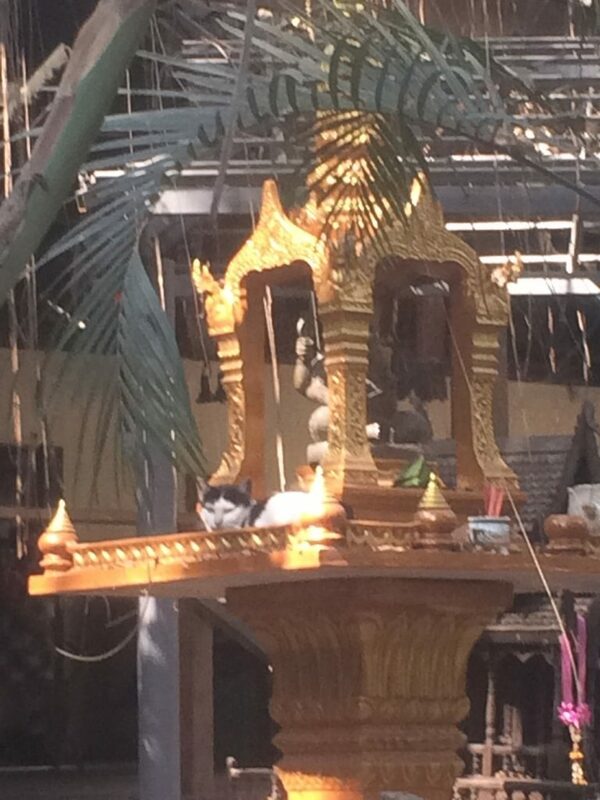 Spirit house with resident cat at the Elephant Nature Park. While Bangkok has the standard big city problems, you have to scratch much deeper beneath the surface to find them. For example, I only saw graffiti in the early morning when the shop doors were down. You also won’t find big slum areas, though you can find very small ones around ramps and bridges. 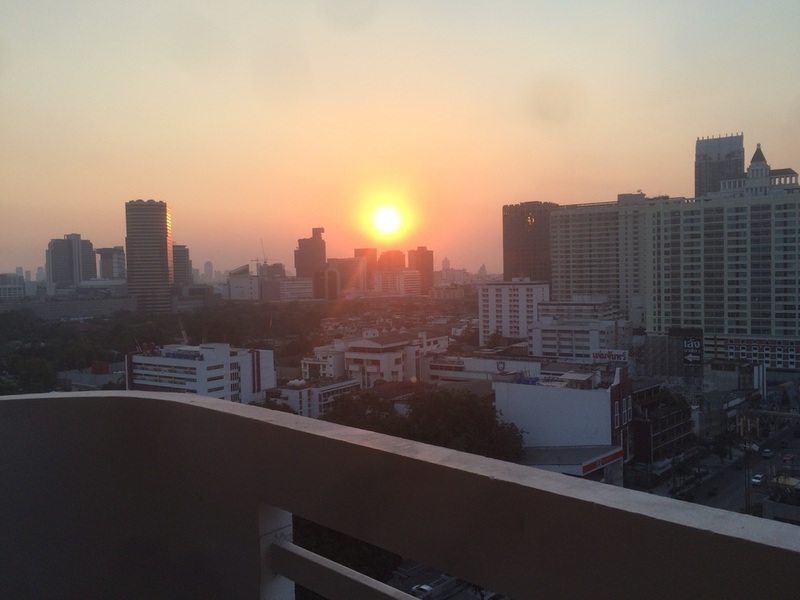 We all liked the vibe in Bangkok, and being closer to the center was a much different experience than being further out, like we were the first time. Traffic wasn’t quite as bad, as most people were on holidays. 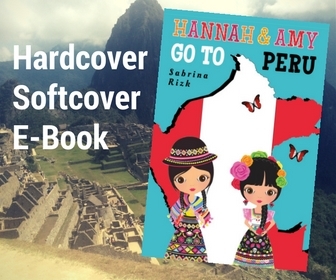 This is definitely a city, and a country we’d like to come back to. 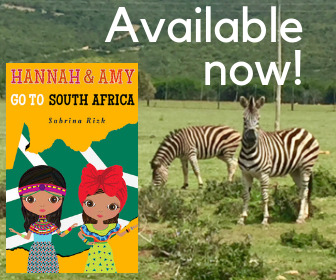 After two children and four trips to Thailand with them as my research assistants, these are some of the tales that we share at the dinner table when they feel like going on a memory walkabout. The Children s Discovery Museum Bangkok offers a wealth of fun and educational activities to keep the kids occupied for a whole day, such as digging up dinosaur bones in the archaeological site and creating giant bubbles from inside them! Sounds like a lot of fun and a great place to go with kids. I know my girls like the Children’s Discovery Museum in San Jose, California, so I’m sure they would like the one in Bangkok too. Thanks for the tip!